Here, five great bottles to introduce skeptics to the wonderful world of fruit-enhanced beers. IPA snobs and stout elitists often regard fruity beers with distain—with good reason. There are a lot of not-so-great, way-too-sweet, malt liquor-esque fruit beers in coolers and on tap across the country. But that doesn’t mean the whole category should be marginalized. When used correctly, a touch of fruit can give a beer a whole new dimension of flavor that no amount of hops or malt could ever achieve. Here, five great bottles to introduce skeptics to the wonderful world of fruit-enhanced beers. Fresh raspberries are added during multiple points of fermentation, so the bright, tart berry flavor is very prevalent. But thanks to the hops, the beer also carries a fair amount of grassy bitterness for a refreshing finish. Funky, crisp and sweet-tart, this hazy IPA flavored with yuzu is perfect with spicy Asian foods. The funkiness comes from being brewed with Brettanomyces, a wild strain of yeast that Belgian brewers encourage in traditional lambics and gueuzes. If you’ve ever enjoyed a squeeze of an orange slice in a wheat beer, then you’re on your way to loving this vibrant, citrusy, thirst-quenching brew. 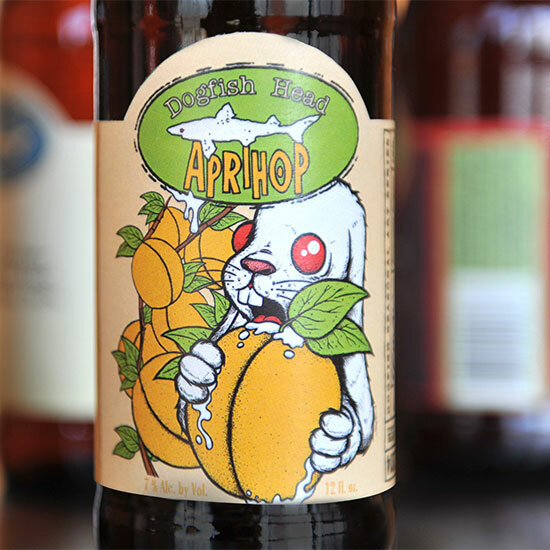 The primary flavor in this seasonal beer isn’t apricots, it’s hops. The IPA is mouthwateringly bitter with some earthy, malty heft. The soft apricot flavor comes in on the finish—almost like a cooler for the aggressive hops. Maybe the ultimate beach drink, this wheat beer is brewed with fresh watermelon during secondary fermentation. While you definitely taste the watermelon, it is not sweet so much as it is refreshing.